Sebastian Vettel has been given a reprimand and fined 25,000 euros following an incident during today's qualifying session. At the start of Q2 as the weather conditions were seemingly about to deteriorate, Vettel and teammate Kimi Raikkonen, having completed a lap on supersofts, pitted in order to change to softs in order that they might qualify on the yellow-banded rubber before it began to rain harder. However, on returning to the pits Vettel was order to stop at the FIA weighbridge. 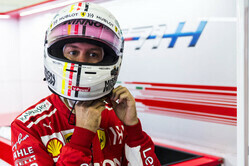 Anxious to switch to the soft tyres as soon as possible and return to the track, Vettel's frustration was obvious, both in terms of his gesticulations to officials and his refusal to turn off his engine. "The car was pushed onto the scales and weighed with the running engine, which makes it difficult to get a stable result," said Jo Bauer, the FIA's Technical Delegate. "After weighing the driver drove off the scales under its own power, and by doing so, he destroyed the scales. "As the driver was not following the instructions and further compromised the continuation of the weighing procedure, I am referring this matter to the stewards for their consideration," he added. The stewards first considered whether there was a breach of Article 29.1.a.i. As Vettel both stopped at the FIA garage and eventually stopped his engine, although not at the time usually expected in the established procedure, and a weight was obtained, these elements satisfied the requirements of the regulation and therefore the stewards found no breach. Nevertheless, the officials give directions to the drivers at the scales in order for the weighing procedure to be accomplished in an orderly and safe way, without the possibility of damaging the scales. In this case however, the stewards observed that Vettel did not stop the engine at the time he was directed by the official at the scales, knocked over the cone placed to stop the driver from driving onto the scales, which he then did. At the time he was being shown a sign to have his "Brakes On" by an official that was standing in front of the car, and while not hitting the official did force him out of the way while driving onto the scales. He then turned off the engine. Once the weight was taken he then did not wait for the officials to push the car off the scales, and while the stewards accept that he may have misunderstood the indication from the official, he then re-fired the car and drove off the scales, which is not the procedure because it can damage the scales, which in this case he did. While no one was hurt by the scales being thrown out from behind the car, and while the stewards accept that the driver did not drive off the scales in a reckless manner, the procedure is established exactly to prevent damage to the scales or a potentially dangerous situation, which is exactly what was caused. The stewards, having found that Vettel failed to follow the instructions of the relevant officials for the safe and orderly conduct of the event, ordered a reprimand (Non-Driving) and a fine of 25,000 euros. Check out our Saturday gallery from Interlagos, here. 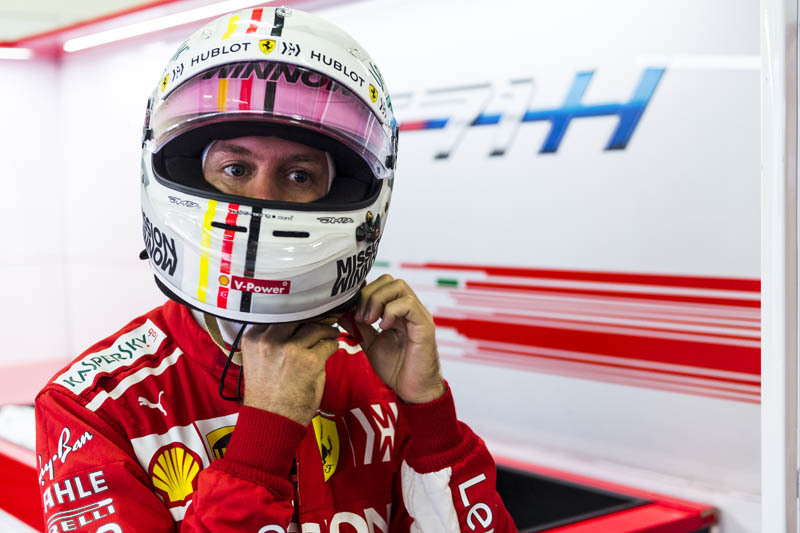 "Typical vettel gets off lightly yet again reminds me of the Schumacher days must be a German thing"
"I'd say he is been punished mildly and I am sure that if it would have been Max he would have gotten a much more severe punishment. The problem is not the rules that state what is forbidden and what not. The problem is that the punishment should always be the same for the same mistake. Regardless of who makes the mistake." "If Seb is feeling the pressure now, wait till next year when Leclerc gets there! He will not ever be Champion again. "